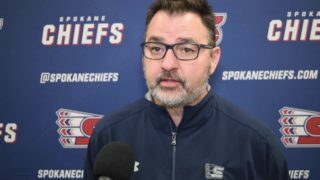 SPOKANE, Wash. – The Spokane Chiefs selected highly touted defenseman Ty Smith with the first overall pick in the 2015 WHL Bantam Draft on Thursday morning. The 5-foot-10, 154-pound Smith, from Lloydminster, Alberta, became the second ever first overall selection by the Chiefs, joining fellow blueliner Jared Cowen (2006). In total, the Chiefs selected 13 players in the draft: seven forwards, four defensemen and two goaltenders. Smith competed with the Delta Hockey Academy Bantam Prep team in the Canadian Sport School Hockey League during the 2014-15 season. He scored nine goals and 19 assists in 16 regular season games, adding three goals and four assists in four playoff games. During the 2013-14 season, Smith played 33 games with the Lloydminster Heat of the AMBHL, scoring 16 goals and 60 points while adding two goals and 11 points in 11 playoff games. The defenseman competed with Spokane prospects Jaret Anderson-Dolan and Ethan McIndoe (the 14th and 36th overall picks, respectively, in the 2014 WHL Bantam Draft) in the 2015 Canada Winter Games, helping Team Alberta win the silver medal. He scored two goals and added an assist in six tournament games. Spokane then chose forward Koby Morrisseau with the ninth overall pick; just the 12th Top 10 pick in franchise history, including Smith. At 6-foot-1 and 170 pounds, Morrisseau provides size up front for the Chiefs, but not at the expense of skilled play. A native of Grandview, Manitoba, he scored 39 goals and 22 assists for the Parkland Rangers Bantam AAA team during the 2014-15 season. “Koby is a power forward type player. He is a great combination of size, skill and grit. Matthew Leduc was selected in the second round (31st overall) by Spokane. A big, 6-foot-4, 195-pound defenseman out of Richmond, B.C., Leduc played with the Richmond Bantam A1 Blues in the BCBHL last season. He projects to be a stay-at-home defenseman at the next level. Spokane used their second of two second round selections to pick forward Damon Zimmer of Camrose, Alberta. Zimmer, a 6-foot-1, 188-pound left-hand shot scored 36 points (19 goals, 17 assists) in 33 games with the Camrose Red Wings Bantam AAA last season. 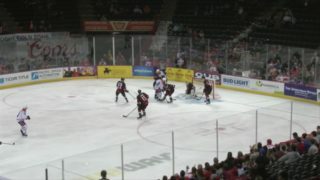 Spokane added a goaltender in the third round, selecting Donovan Buskey out of North Vancouver, B.C. Buskey, at 6-foot-2 and 202 pounds, played in 37 games with the North Shore Winter Club Winterhawks Bantam A1 team last season, winning 27 with 17 shutouts. Forward Colum McGauley was the Chiefs’ fourth round (75th overall) pick out of Wilcox, Sask. McGauley, whose older brother Tim plays for the Brandon Wheat Kings, scored 32 goals and 72 points with the Balgonie Prairie Storm Bantam AA of the SBAAHL. A fast player, McGauley stands at 5-foot-10 and 156 pounds. With their fifth round (110th overall) pick, the Chiefs selected forward Noah Westgate out of Beaumont, Alberta. Westgate is a speedy 5-foot-8, 141-pound forward who scored 18 goals and 29 assists with the Leduc Oil Kings Bantam AAA last season. 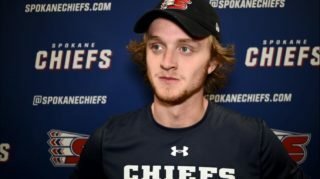 The Chiefs used a pair of seventh round picks to select defenseman Jevon Schwean (133rd overall) and forward Joel Krahenbil (142nd). Schwean, a left-hand shot from Moosomin, Saskatchewan, stands at 5-foot-11 and 170 pounds. He played 31 games with the Melville Millionaires Bantam AA last season, scoring 5 goals and 9 assists while earning 94 penalty minutes. Krahenbil, a 6-foot, 157-pound pivot out of Calgary, scored 18 goals and added 21 assists in 33 games with the Rocky Mountain Raiders Bantam AAA. The Chiefs looked to their own backyard for their eighth round (163rd overall) pick, selecting Mead, Washington’s Luke Gallagher. During the 2014-15 season, the 5-foot-7 defenseman scored three goals and 11 assists with the Edge School Bantam Prep of the CSSHL, the same team that produced Spokane’s 2014 first round pick, Jaret Anderson-Dolan. 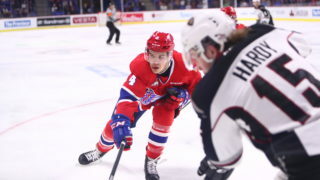 The Chiefs made a trade with the Lethbridge Hurricanes to reacquire their ninth round pick (185th overall) and used it to select Cedric Chenier out of Winnipeg. A 5-10, 155-pound center, Chenier scored 23 goals and 36 assists with the Winnipeg Monarchs Bantam AAA. Another goaltender came off the board in the tenth round (207th overall) as the Chiefs picked 6’3” Mitchell Reidy out of Regina, Sask. Reidy played 17 games with the St. Albert Sabres Bantam AAA. The Chiefs closed out their 2015 draft selections with center Riley Johnson of Winnipeg. At 5-foot-8 and 120 pounds, Johnson scored eight goals and 16 assists for the Winnipeg Hawks AAA Bantam club. Players eligible for the 2015 WHL Bantam Draft included 2000-born players who reside in the following provinces or states: Alberta, British Columbia, Manitoba, Saskatchewan, Northwest Territories, Yukon, Alaska, Arizona, California, Colorado, Hawaii, Idaho, Kansas, Minnesota, Montana, Nebraska, Nevada, New Mexico, North Dakota, Oklahoma, Oregon, South Dakota, Texas, Utah, Washington, and Wyoming. Players not selected in the Bantam Draft are then eligible to be listed by WHL clubs, with many being added to WHL Club Protected Player Lists as spots become available. 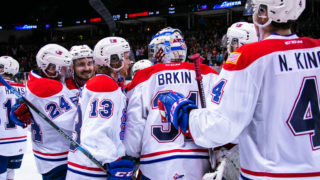 Ticket packages for the 2015-16 Spokane Chiefs season begin under $100 and are on sale now! 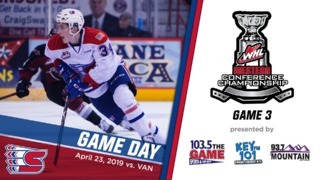 Visit the Chiefs’ Ticket Office at the Spokane Arena or call (509) 535-PUCK for more information.